Christ Church Cathedral is an Episcopal church in an urban environment. The Cathedral is the seat of the bishops of the Episcopal Church in Connecticut. Christ Church was founded in 1762. Our building was erected/consecrated in 1828 and set apart as the Cathedral of the Episcopal Church in Connecticut in 1919. 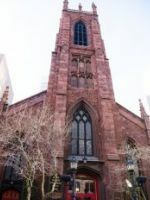 The Cathedral serves as resource for apostleship as we participate in God’s mission of restoration and reconciliation in the city of Hartford, the Episcopal Church in Connecticut and in the world. The Cathedral is part of the Episcopal Church, a member of the worldwide Anglican Communion. The Episcopal Church is a safe place where differing points of view, as well as questions, are welcomed as part of our spiritual journey. 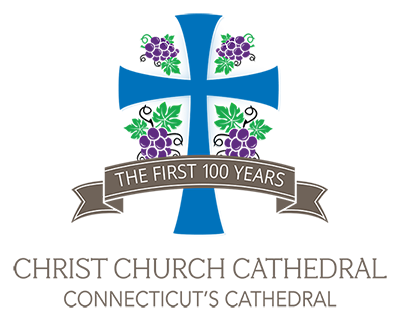 The three pillars of our faith are scripture, tradition and reason.We trace our spiritual roots to the Church of England and the apostolic succession, which goes back to the Twelve Apostles of Jesus Christ. The Cathedral’s four congregations represent a diverse, inclusive, multicultural and multilingual community coming from Greater Hartford, both the city and suburbs, to worship, pray, serve and learn together. Our worship encompasses both traditional Anglican style and allows space for liturgical experimentation and contemporary forms of worship. We are blessed with an excellent music program, providing outstanding music that supports our worship and offers concerts and recitals throughout the year. As an urban community located in the heart of the city of Hartford, we respond to our baptismal covenant by being a place of hospitality and support to our brothers and sisters in need. The Chapter is the governing body of the Cathedral. Members of the Episcopal Church in Connecticut and members of the Cathedral congregation are elected at the Annual Diocesan Convention and at the Annual Meeting of the Cathedral congregations. The Diocesan Bishop serves as chair. The Chapter meets regularly four times a year. The members of the Parish Committee are: Jilda Aliotta, Chair; Carlene Taylor, Vice Chair; Theresa Greaves, Luz Amat, Lisa Scarola, Tom Smith, Cecilia Valencia, Anne Bartholomew, and Lilibeth Warner. The Cathedral Finance Committee includes: the Very Rev. Miguelina Howell, Chair; Sherry Senior, Treasurer and Clerk of the Committee; The Rev. Yves Joseph, Assistant Treasurer; The Rev. Canon Douglas Cooke; The Rev. Virgina Army, and Jilda Aliotta ex-officio.